Now single source to get GM cars or light trucks using ECM E-proms or PCM flash custom tuned to the total makeup of the vehicle for a true custom tune for auto or manual transmission drivetrains. 1. Any GM Corvette or F-body car using an ECM with a E-prom. 2. LT-1 based Powertrains using flash memory. 6. 1997 to Present GM light trucks using: (4.8 LR4, 6.0 LQ4, 5.3 LM7, 8.1L L18, 5.7L L31, and 4.3 L L35 V6) and 2002 LS1 (6.0L LQ9, 5.3L FFV) Powertrains. 7. All the above engine types with either a Super Charger, Turbo or NOS we can custom tune for. You can contact us and if your local to us you can come to shop and have the custom tuning done right then and there. Also if local we can meet at a chassis dyno shop and tune while vehicle is on the dyno. If not local you can ship us your Memcal for ECM or the PCM and we will custom tune “Off Board”. Now you can even make money as a Team ZR-1 remote tuning site, purchase our flash tuning tool which allows you to replace the existing PCM flash with our custom tunes and charge customers a price that includes profit for you! 1.If you’re a repair or dyno shop we can relieve you of this type of custom performance tuning, hence you do not need to buy all the equipment, laptops, scanners and tuning products plus do not need to pay the costs of training personal on how to obtain proper tuning knowledge. 2. If your building a custom rod or an off road race car we can remove all smog related code functions so that the PCM does not trip false error codes. 3. We can work out costs for a single PCM tune or a consulting / tuning cost package for shops. Wonder how good or bad your E/PCM calibration is and what needs to be tuned? Via scanner tools we can record, analyze and report our findings and also tell you what we would do to correct or better the calibration for best performance. You can even do the scanner recordings and e-mail them to us and for a small cost we will analyze and give you a full detailed report of our findings. We take pride in our work and use experience we have gained in owning, repairing racing and tuning Corvettes since 1974. We understand you work hard for your money and want a quality job in the quickest timeframe as possible. We will work with you to achieve the best tune possible for the makeup of your power and drivetrains. Since we have drag raced, track, autocross and open road raced since the late 1960’s we know to win you have to have the best possible tune for the makeup of your engine. All enhancements you have added need to be tuned in to work well as a whole and that is where good performance tuning makes a 2nd place car a 1st place winner. There are times were even a few changes to your engine might cause the car to fail new EPA smog tests, we can analyze and retune your engine to meet the EPA requirements. We can teach you how to properly use a scanner so you would know before hand if your engine would pass or fail the new I/M 240 smog tests. Began in 1990 and has donated internet services FREE to the general public, so you can exchange ideas on owning or racing Corvettes or getting your questions answered through out forum or e-mail services. Let’s Go a Racing has been our motto for many years so we treat each customer as expecting the same as we do when it comes to our cars performing the best it can. We can often save you more than the cost of our service alone. So why not contact us today? Any mods that are added for performance may not bring the expectations you thought would happen. A simple tune may be all that is required to not only make that mod perform but also tune it to function well with the other functions of the powertrain. Will allow more delivered torque, horsepower but also allow the engine temperatures to be cooler, transmission to shift crisper and quicker, engine starts faster and can even increase gas mileage due to correct air to fuel ratio being adjusted. 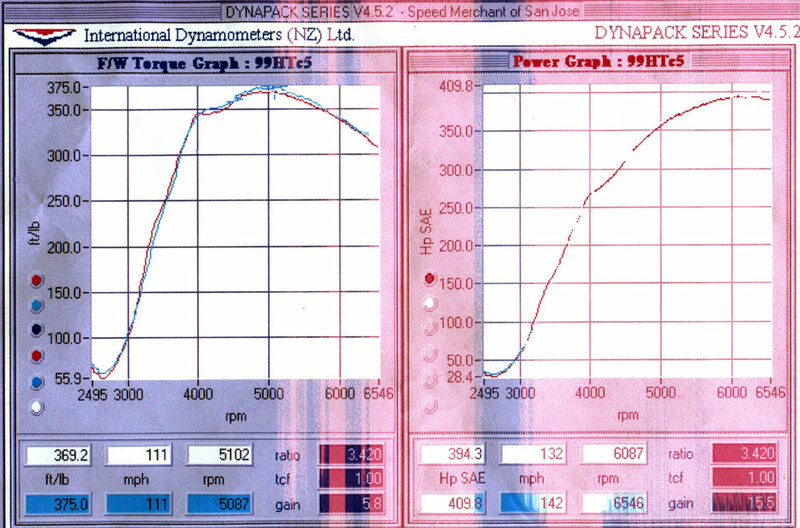 The ECM or PCM was not designed to maintain the best overall tuning, it operates within an operating window and as long as it is within that boundary it is happy but in fact over time has tilted the calibration to be running way too lean, lots of knock retard and less engine timing all causing a decrease in how the engine runs and performs. To meet the customer service across the USA, Team ZR-1 has remote locations of businesses that sell Team ZR-1 custom tuning services. People wishing to become a Team ZR-1 Corvette Racers remote tuning vendor can contact us for to get started. This allows owners of GM cars and light trucks to get a true custom tune that is done solely by Team ZR-1 and the remotes simply using our PCM flash tool to spend a few minutes of their labor to do the PCM flashing and make profits from doing so plus assuring their customers getting the best custom tune that fits the makeup of their car or truck. Remotes can mold this service to fit their business model and Team ZR-1 will supply the custom tuning to this agreement. Team ZR-1 tuning is preparatory in our tuning methods and contents of the custom tune. Remotes may not give our custom tunes away they get from us, nor copy, modify or sell to anyone. The PCM flash tool is not to be lent out or sold to anyone. A tune consists of the main tune and 1 tweak of that tune within 1 month of the main tune being installed. Tweaks required later on will have a lower cost. One custom tuned flash can only be used for the car that the VIN number came from. Trying to use one Team ZR-1 flash into another car will cause the PCM to be in a failure state thus each car requires its own Team ZR-1 derived custom flash. Remotes can hire Team ZR-1 for consulting and analyzing PCM scanner recordings. Tune includes Team ZR-1 analyzing up to two OBD scanner recording, one for main tune and another if tweak of tune is needed. Lower prices per tune can be obtained if remote has volume of tunes per month. Made known this is a Team ZR-1 custom tune. Remote pays for the tune when sending the customers flash file, its up to the remote then to get paid by the customer. Remote can pay Team ZR-1 by paypal.com, call Team ZR-1 with a credit card or have a prepaid open account. READ the PCM which becomes a file that is then emailed to Team ZR-1 who within 2 hours of receiving it will custom tune and email back to remote. Program – uploads the Team ZR-1 custom tune into the customers PCM. Force Flash – if in case some other vendor locked the PCM the flash tool can overwrite the total PCM flash memory with a unlocked flash file. VIN number in PCM can be changed but only by Team ZR-1 with the custom tune and then when programmed into the PCM the VIN number will then change to the VIN we changed to. Clear DTC error codes, this can be used anytime errors have been tripped. Query PCM for its VIN number and all code segment IDs. Allows loading a different model year calibration into PCM such as car is a 1999 but mod makeup would be better with a 2003 calibration. Requires working with Team ZR-1 to make sure the process is done correctly. If you have a customer that is not local you can sell them custom tuning where they mail you the PCM and then you mail to Team ZR-1 for OFF BOARD tuning. Team ZR-1 will add $30 for shipping PCM back. If car or truck is older OBD-I and uses the ECM, Memcal and Eprom Team ZR-1 will custom tune them and remotes will have to make their pricing over Team ZR-1 costs that fits their business model. if you need experienced knowledge if the makeup of customers car either has incorrect mods, failures or needs to know what mods to install we have such a service at at costs to you which then you can add those costs to your customers. At this date if the car/truck has a LS2 powertrain the flash tool you have will NOT work. If you have customers of such powertrain they would have to buy LS2edit or other tuner products that support it and remotes then obtain the flash file from car or owner and email it to Team ZR-1 for tuning. If need be a remote can setup a time/date with Team ZR-1 to discuss a customer’s car and tune via the Team ZR-1 live internet chat service. $400 per tune for a N/A powertrain that is non major mods. $550 per tune for any type of boost such as supercharged, turbo or N20 or has radical mods such as split grind CAM, bored or stroked, oversized MAF or throttlebody in such those mods confuse the PCM as to how it adapts and reacts. 93 - 95 C/K Truck, Van, 5.0L & 5.7L,Manual Trans. 89 - 92 F & B Cars, LO3 & LO5 Eng. 91- 93 Caprice, LB4, L03 & L05 Eng. 93 Grand Am, Achieva, Skylark L40,2.3L, 4 Cyl.